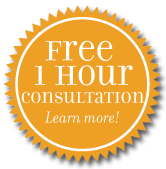 If you live in Chanhassen or Bloomington, Minnesota and are in any stage of the divorce process, Johnson Mediation can help you. We offer an alternative to the ways most Americans think of settling a divorce. Divorce mediation is quickly becoming a better known and more desirable way of seeking and finalizing a divorce. You can count on our team to provide you with exceptionally good advocacy, fairness, and a commitment to the most positive outcomes with your soon-to-be former spouse. We also have a great deal of experience and expertise in Minnesota divorce law, which is important because laws pertaining to divorce differ from state to state. We understand that divorce is, simply put, a difficult process no matter what the circumstances. You can have a friendly relationship with your spouse as you head into the divorce process, and be on track for an amicable split, but divorce will present challenges that most people could not anticipate. It is out of this recognition that we work toward the goal of minimizing conflict between spouses and identifying areas of agreement. With such an environment in place, you have a better chance of emerging from your divorce with a greater sense of hope, relief, and the possibility of moving on with your life sooner than you might otherwise have expected. Divorce Mediation is designed to do this for couples, whereas the more traditional court proceedings around divorce are naturally defined to be more adversarial. The court system still exists and is necessary and useful for many people. It is not the best choice for everyone, however, and for those who can benefit from mediation, there is Johnson Mediation. When you work with us you will find that mediation promotes collaboration between you and your spouse. Not only does divorce mediation encourage identifying areas of positive agreement between you and your married partner, divorce mediation tends to be less expensive than the more traditional court processes. Divorce mediation typically does not require lawyers (there can be exceptions) which cuts out a major cost. Working with Johnson Mediation will allow you to feel a greater sense of involvement and control over your divorce process rather than being at the mercy of the court process. When you choose Johnson Mediation, your experience is not in the hands of lawyers and judges but is in the hands of you and your divorcing spouse with expertise provided by our staff. One of the most difficult parts of divorce is the frequent feeling of losing control of your life. This occurs frequently when you divorce through the courts. But when you work with a mediator, more control is placed back in your hands. And we will do our best to make sure that your divorce is finalized in a way that is mutually beneficial for you, your spouse, children, and all others who are impacted by your divorce. Call us at (952) 401-7599 for more information.